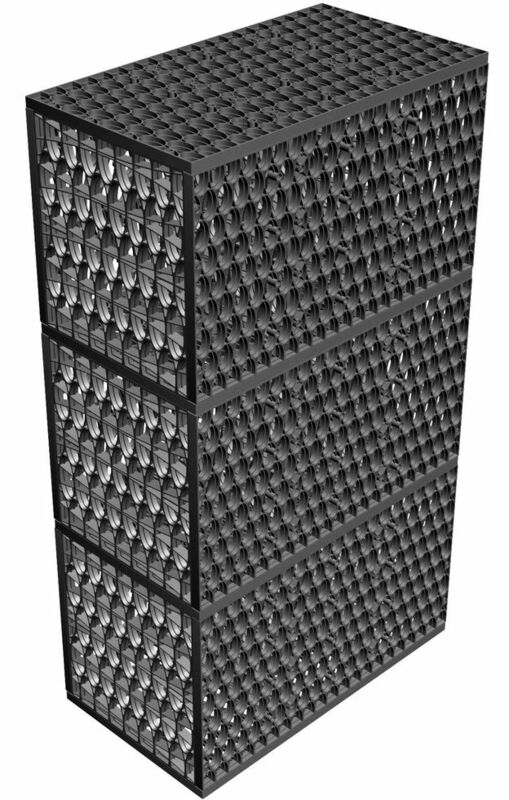 *Higher Modules available, please refer to data sheet & specifications. 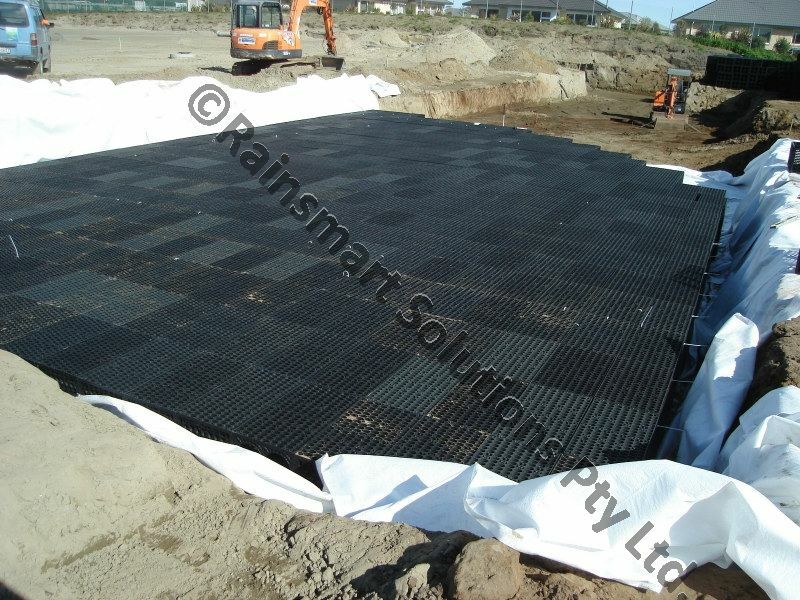 Rainsmart® Ellipse® Tank Modules are suited to any subsurface infiltration, retention or detention Stormwater applications. Manufactured using recycled materials, the Tank Modules are lightweight, engineered design, structural component developed through research & development. It is ideally used for the construction of underground Infiltration, Reuse, Detention Tanks, Grass Swale, Subsurface interception channels, Septic Leach Drains and light weight void fillers for roof gardens and planter boxes applications. 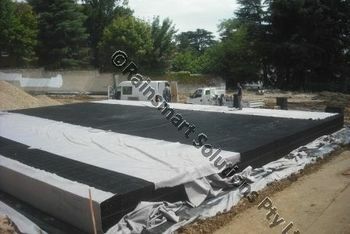 Rainsmart® Ellipse® Tank Module system supersedes traditional gravel and pipe based systems by far. 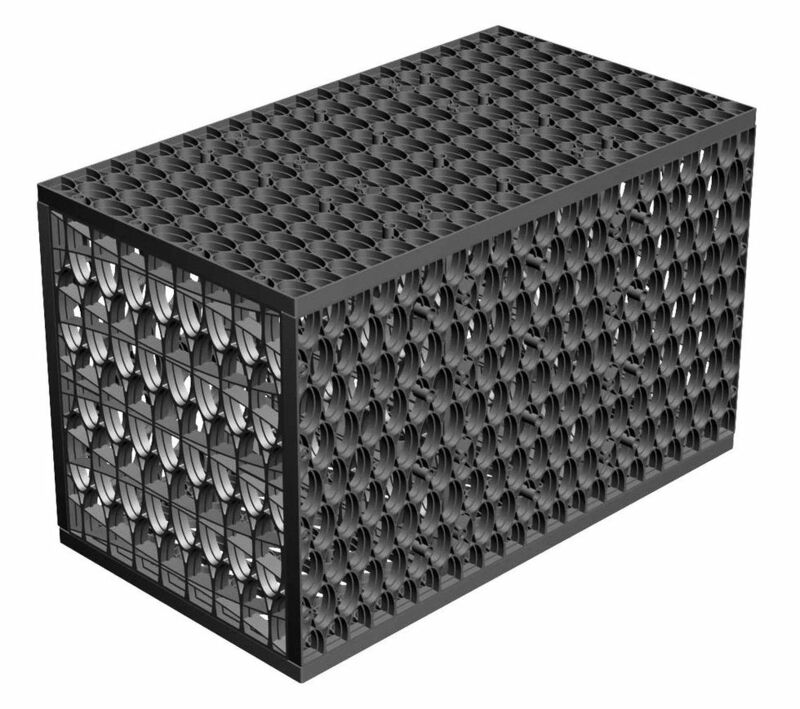 The system provides a void space ratio of over 95% compared to 30% in typical gravel and pipe based systems. 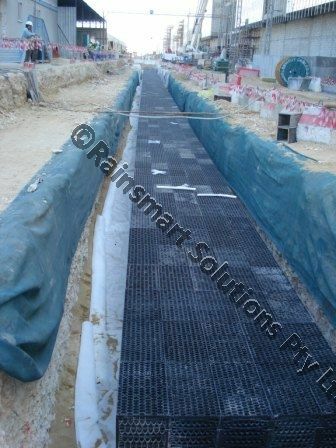 Consequently, the Rainsmart system offers a smaller footprint for the same storage volume, significantly saving the amount of excavation, soil transport, importing clean aggregate and thus reducing earthworks related installation costs, and causes minimum site disruption. The Ellipse® Tank Modules are available in kit form making it economical and easy to transport and handle. The lightweight nature of the Tank Modules also eliminates the use of heavy machinery, and makes installation quick and easy. 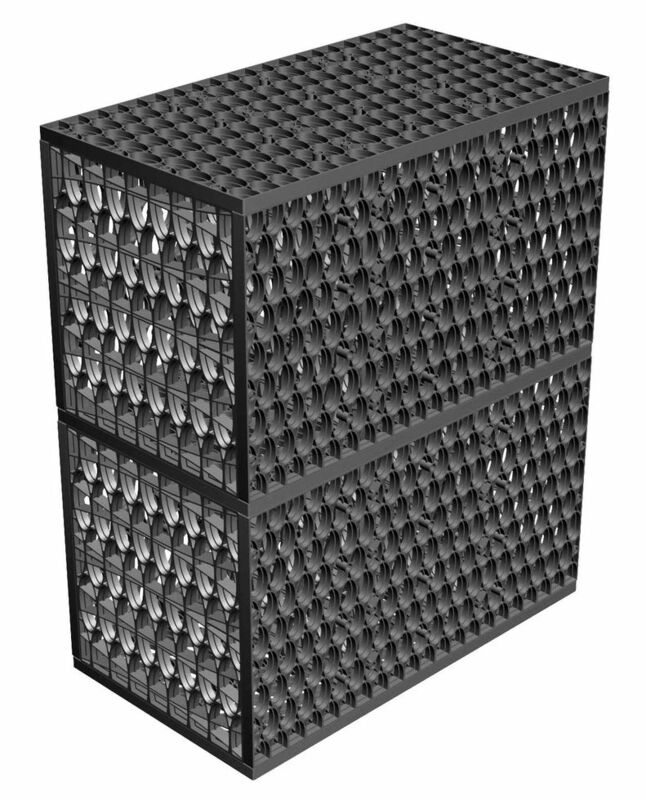 The modular design and stackable structural capabilities of the Tank Modules distribute the loads evenly and allows it to be used, in Traffic and Landscaped areas with high safety factor value. The modular design also means that you can create any shape and size of the underground Stormwater Structure on sites without disturbing the surrounding site conditions and maximize land use pattern. Rainsmart® Ellipse® Tank Modules has a unique low flow design to provide a total linear access, for inspection and maintenance purpose. This system will allow keeping the debris out of the cage structures; allow flushing out and controlling any silt build-up. • Recharges Groundwater Table through principle of infiltration. • Site space utilization and minimum site disruption. • High void surface ratio for quicker infiltration. 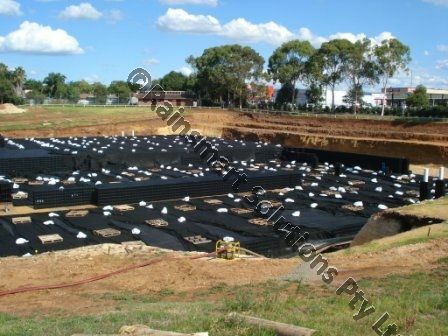 Unaffected by moulds and algae, soil-bourne chemicals, bacteria and bitumen. ** Heavy Duty Tanks upto 40t/sqm also available.